Official Guinness Football Jersey. 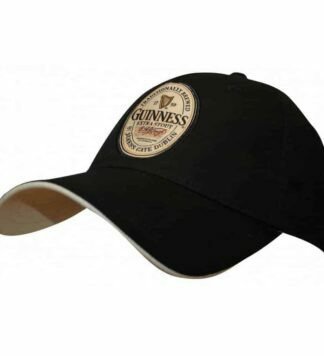 A very hard to find item. 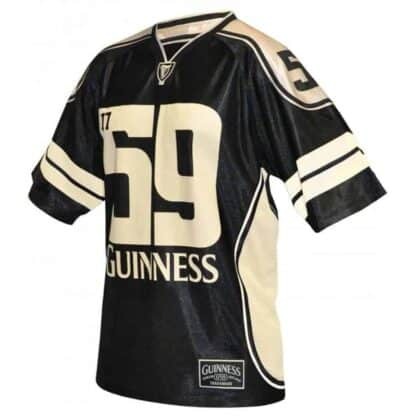 Black and Cream Football Jersey is cut to fit like classic football jersey. 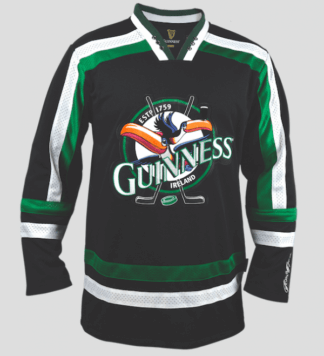 Guinness branding throughout, both embroidered patches and printed logos. 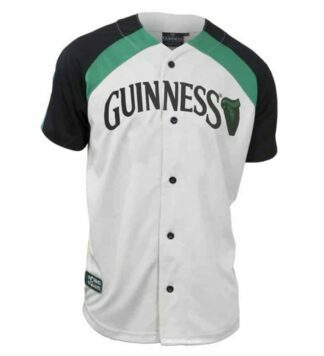 Made of high quality performance polyester mesh. 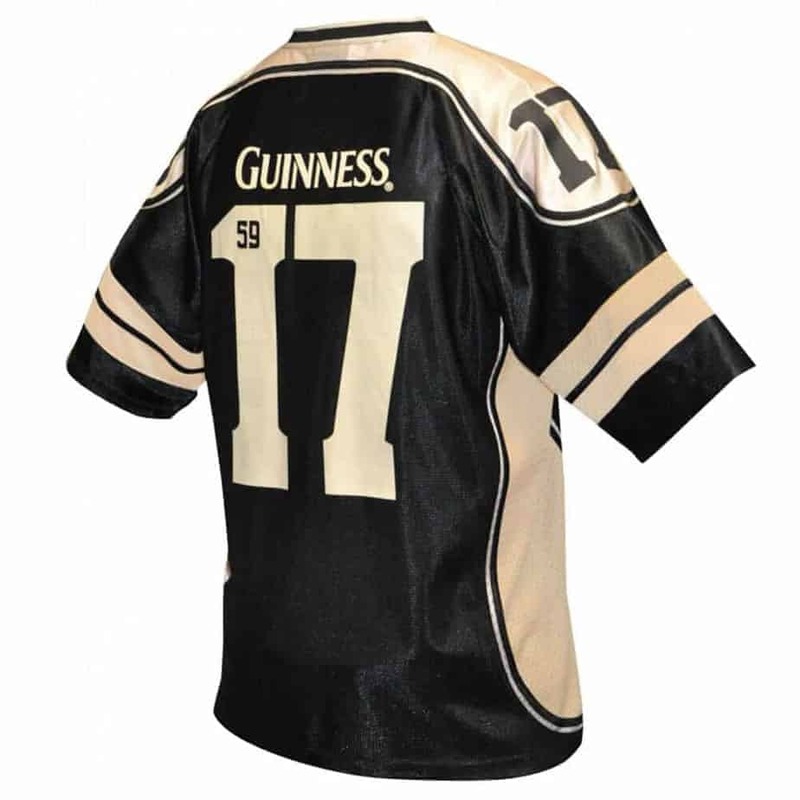 Top quality licensed Guinness product.